This entry is a continuation of the one hit wonders series. The focus is on the 1970's. The era of Nixon, the end of the Vietnam War, disco, and polyester leisure suits. So here are my favorite one hit wonders from the 70's. See how many you have to look up on YouTube!!! My wife has made fun of this list. She said it was less than masculine. I like danceable tunes. My good friend Lyn recently posted a survey on Facebook about favorite One-Hit Wonders. I love one hit wonders because I don't have bother buying an entire album/cd/download to get the one song that the band/artist will forever be known for. I will start with the era of music I love best... the 1980's! Next edition will be the 1970's. 1. Adele. I liked her for a while, but now, her music is just boring me. 2. The song, Mr. Know-it-All. Can't I can't stand it all. I mean, I just can't stand it all. No one should stand it all. 3. The Super Bowl. I don't really need to know what are all the preparations are going on in Indy and what celebrity is going to perform at what thing. 4. Stupid drivers when the weather gets bad. Go back to driving classes. "So we beat on, boats against the current..."
I've been told that a new film version of my favorite novel of all time is being made. I first encountered "The Great Gatsby" in college. I was doing my student teaching and I was told that I needed to create a unit on it (I've refined it over the years) I had never read it, but once I started it, I devoured it. You know how sometimes things change your life? That's how I feel about this novel. It literally changed my life. I can't explain it. Nearly every year since I've been teaching I've given a copy of the book to a graduating senior with an inscription. 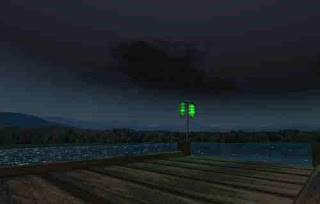 "Believe in the green light." I know Gatsby is the great American tragedy, but it is so much more than that. It is the first truthful book about the American Dream. It squarely portrays the American Dream as being pretty much hollow, but we continue to pursue it because we live in the hope that our version of it may BE truthful. "Gatsby believed in the green light, the orgiastic future that year by year recedes before us. It eluded us then, but that's no matter--tomorrow we will run faster, stretch out our arms farther.... And one fine morning-- So we beat on, boats against the current, borne back ceaselessly into the past." -The Great Gatsby, chapter 9. I love how Nick's thought is interrupted, just as Gatsby's life is, but there is note of hope in it. Even in Gatsby's death, there is renewal. Nick moves on with his life. He is not dazzled by the riches and glamour of the Jazz Age. He realizes that the promise is empty and temporary. We continue on against the tide because we believe we can overcome it and by doing so, achieve something that will last beyond us. I've always been fascinated by the British royal family. My Grandmother Terrell was terribly British in her ways (Heavy Tea drinker, very conservative, not overly demonstrative) and I've always attributed my love all things British to her. 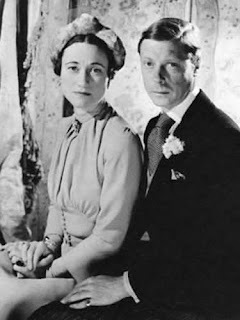 One of the most fascinating stories of the Windsors is that of Edward VIII and Wallis Simpson. I don't know why I'm fascinated by this story of a king who gives up his throne for "the woman he loves" more than any other. Perhaps it was because I watched the Masterpiece Theatre production of the story, maybe it was the Jane Seymour/Anthony Andrews version (by the way, Wallis was no where as gorgeous as Jane). I think the real reason is that despite everything he never gives her up and he literally gives up nearly everything to be with her. Maybe it's the whole romance of the story. I don't know, but it is fascinating. The thing I found myself speculating on is that had he not given her up, Queen Elizabeth II would have ascended the throne in 1972 (the date of the Duke of Windsor's death). No, I don't believe that Wallis and David would have had children. They were too much the jet-setters to do that. Imagine the course of many of the world's events. World War II would have really been interesting due to the speculation (some well founded) of the Windsor's Nazi sympathies. Yes, he would have been an interesting king, but he makes for much more interesting love story. I was always aware of Charlie Chaplin. But it wasn't until I was in my twenties and watched the American Masters programme, "Unknown Chaplin," that I really became aware of the brilliance of the man. Truly, here was a guy for which the word genius was created. I literally immersed myself into his works, starting with the most readily available ones, "The Great Dictator," "Modern Times," and "City Lights." All of these films influenced me creatively as an actor and as a director and opened up doors for me in so many ways. 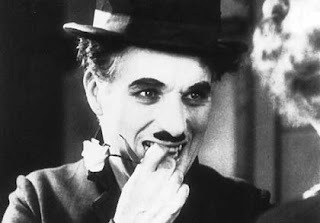 I think for my money though, Chaplin's true genius was the short films he did for Mutual. I was so awestruck at the simple, yet complex, manner of their style that I obsessed over who to emulate them in my own work. If you have ever acted in a play for me, you know that it is not unusual that I repeat a scene over and over again until I think that it is right. This was Chaplin's technique and I adopted it for the stage. Anyway, I'm not going to get into a huge discussion over the man and his work. As the description of this blog implies, I just write about what is on my mind. Charlie was on it tonight. I tend to like music by female artists. I was (and still am a Madonna fan, just not a rabid one), Cyndi Lauper, Pat Benatar, Terri Nunn (from Berlin), Chrissy Hynde (the Pretenders), heck I even like Patsy Kensit (from 8th Wonder). So I thought I'd blog about some newer female singers that I like a lot. About two or three months ago, Shirley Manson, the lead singer of one of my favorite bands announced that a new album was going to released. Well, still haven't heard anything. Which is very disappointing to me because I love the band Garbage. I have to say that even though I still feel somewhat unprepared, I am enjoying teaching junior high students. For the most part they do try. There are a few who don't and I don't know what to do with them. You ever feel like you are useless? I mean, I realize I am pretty good at what I do, but lately I feel like I just stink at it. I worry that I'm not challenging kids enough. There never seems to be enough hours in the day to really plan, teach, grade, evaluate, be a good husband and father. There are really days when I wish life had a rewind button. So, one of the things that I want to accomplish in the next couple of years is to write a book. Not a book of fiction. I think I'd have a really difficult time with that, but I may try it sometime. My wife keeps on me about a writing a mystery and I have some ideas, but not too sure about them. There are two books that I'm wanting to do. One is an expansion on something I did years ago called "The Essential Cinema: A Guide to the Film Challenged." It is meant to be a book that informs you about certain films in different genres. Just enough information to make you seem well informed about cinema and film studies. The other book is a little closer to my heart. 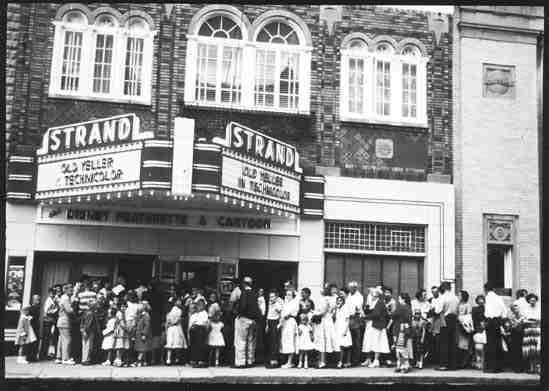 It is about the old movie theatres in Muncie, IN. There were some great ones here, including my old favorite, the Rivoli. I'm going to be asking a lot of people for their help on this book because I want it to be a book of memories for those of us who loved old cinemas. Well, that's the blog for today. Short, but something to look back on. So I was listening to the radio at one point during the day and heard Katy Perry's ET. This is really off in left field, but I was thinking of a different way that the could have been handled. The actual video is pretty good except for the insert of Kanye West (who I can't stand). I came up with another idea. Now stay with me...what if the video had a different theme. A darker theme. My concept of the video was that Katy was singing in a basement of sorts (think Silence of the Lambs....yes, you are headed in the right direction), the potential victim of a serial killer. I know it sounds really sick, but nothing is shown. Just a thought.....Look at the lyrics and tell me if you think it doesn't make sense.